Small businesses have no shortage of consumer-based options when it comes to online data and file storage. But as compelling as popular services such as Dropbox, Box.net and Google Docs might be, they can present challenges for businesses. 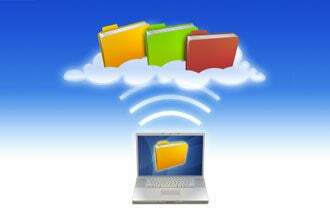 Files stored in the cloud can be tricky to sync with content stored locally on personal computers, as access to these files can be complicated to manage and revisions difficult to track. Mountain View, Calif.-based Egnyte has rolled out significant upgrades to its online document management tool, called HybridCloud, which attempts to address these online storage issues for businesses. Its new tool lets groups store, share and edit documents online, manage access to those documents and sync their online content with files stored on PCs. Users can choose to access data either from their local computer or in the cloud. This means remote workers can get to files out of the office over the Web, and those in the office can access files on local PCs, so they don't sacrifice speed. Accounts start at about $25 per month for five users who get access to Egnyte's full suite of services, as well as 100 standard users -- including business partners, clients and others who may be given permission to access and edit specific files and folders. The basic account includes 150 GB of storage. We had access to a demo of the new HybridCloud. Here's a look at what we found and what it means for business users. What's worth storing: Egnyte is as easy to use as a basic consumer storage option like Dropbox, but it offers features such as Google Docs integration, built-in software for transferring large files and the ability to read your online Egnyte account as if it were a drive on your PC. Most impressive is the level of control Egnyte gives business owners. Individuals or groups can set up complex folder and file permissions. Users can manage how many file versions are stored -- from just one to every time someone makes an edit -- or how long deleted documents are kept in a backup trash folder. Audit reports let admins see who has modified what and when. These features make HybridCloud relatively unique among other online document management tools, including Zoho and ThinkFree. What's not: For our digital content business, we decided that while we liked what Egnyte offers, it was too daunting a prospect to migrate our work flow to the tool. We've been comfortable using Google Apps and Microsoft Office 365. For our purposes, the time needed migrate all our data would probably not be worth the gain in productivity that Egnyte offered. Other companies in similar situations might feel the same way. Bottom line: For new businesses considering a document storage solution, Egnyte is worth a serious look. For firms that require extensive record keeping, such as health care and finance, the tool can also be useful. But the average business might find Egnyte to be overkill. Potentially lower cost tools including Google Apps can be more than enough.